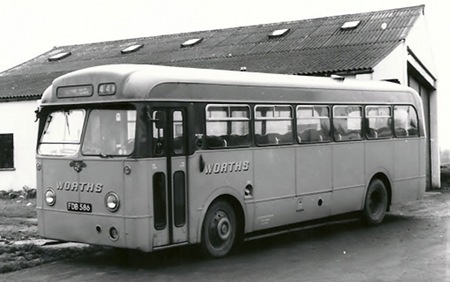 FDB 586 a Leyland Tiger Cub was new to North Western RCC in 1955. 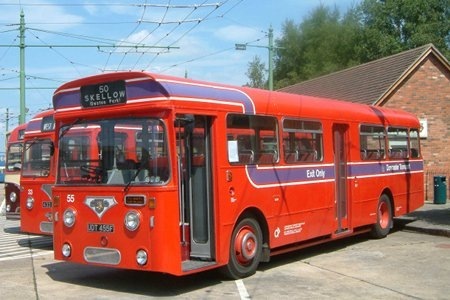 It was converted, along with the rest of the batch to OMO in 1958/9, as denoted by the ‘A’ suffix after the fleet number. 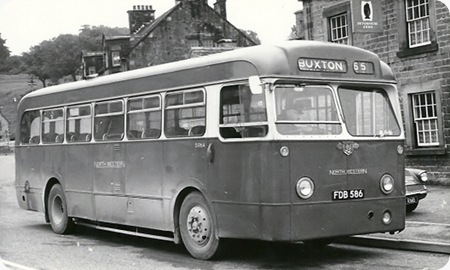 586 is shown here (in rather a grubby state) working the 1 hour 36 minute duration Service 65 from Ashbourne to Buxton. The picture was taken outside the Devonshire Arms Hotel in the picturesque Derbyshire village of Hartington, a view which has changed little over the years. There was still over 50 minutes to go before it reaches the end of the journey in Buxton Market Place. 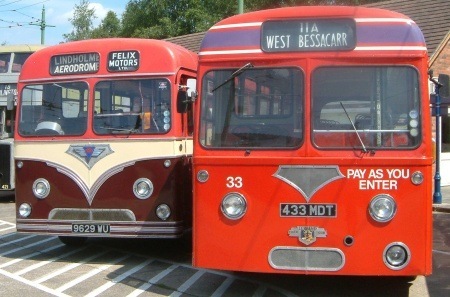 It was withdrawn in 1968, and passed to Worth’s Motor Service Enstone, Oxfordshire. This year the company will be celebrating 90 years in business and continues to be run by the Worth family with the motto still being well known as:- "For a rattling good ride". FDB 586 is shown here outside the Garage in Enstone. 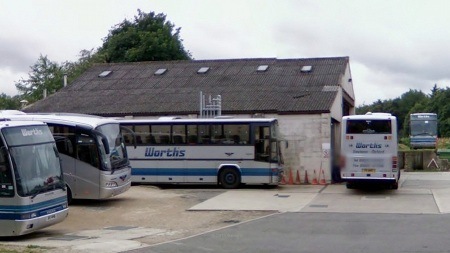 I have included a modern day picture of the premises, and as can be seen the garage building, unlike the fleet, has altered little. Purely from the "observer" point of view, Worth’s has always struck me as being one of the better operators. Others, of course, may feel or know otherwise! As for North Western, what can one say other than "R.I.P."? The No. 65 doesn’t look overburdened with passengers does it? And to think, until the late 50s this route was paralleled by a railway line, whose stations, on the whole, were nowhere near the villages they purported to serve!